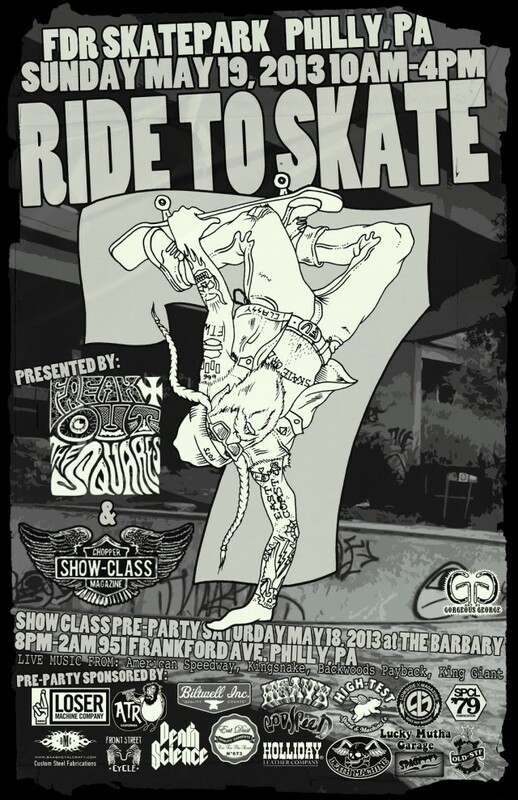 Sunday, May 19th from 10am till 4pm at FDR is the annual Ride to Skate fundraiser pre­sented by Show-​​Class Chopper Magazine and Freak Out the Squares. There is a pre-​​party the pre­vi­ous night at the Barbary. Check the Flyer above for a list of the Pre-​​Party Sponsors. New skatepark in Philly area said to open around the time of RIDE TO SKATE maybe a lit­tle cruise over here should be in the works.